Let it Ride is based on five-card stud poker. Players make three equal wagers before being dealt three cards. These three cards combined with two community cards create their five-card hand. Players may pull back their first wager after looking at their hand or Let It Ride. The first community card is revealed and the player has the option to withdraw their second bet. The dealer will then reveal the second community card and pay the winning bets. 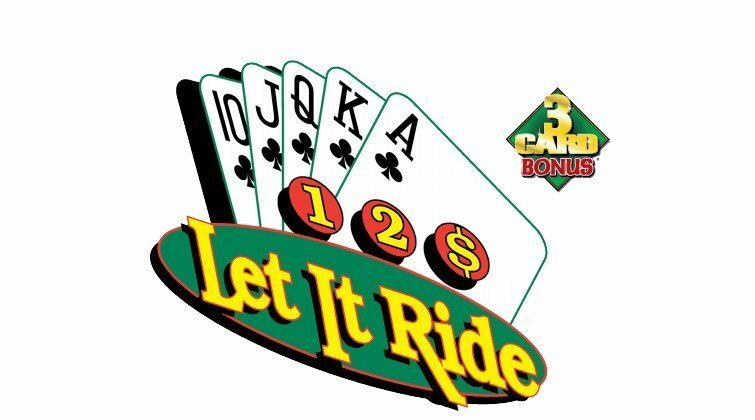 Let It Ride also has an optional 3 Card Bonus side bet in which players will win if their first three cards are a pair or better.